A knife isn’t necessarily your first thought when it comes to self defense. Most people think of other forms like martial arts to help keep you and your family safe from a perpetrator. In some cases though, a weapon can be a vital part of your defense especially if you are facing a wild animal or multiple attackers. Specifically, having the best self defense knife can be a lifesaver in certain situations, especially if you have the right skills to use it. If you’re in a hurry, here’s a quick look at my top 5 best folding knives for self defense. There are several factors to consider when choosing a self defense knife and how to find one that fits your skills. Here are some tips on what to look for when choosing the best self defense knife for you and a few knife reviews to help you get started. Accessibility is key for the best self defense knife to carry and, if you can’t draw your knife fast enough, you will be vulnerable to your attacker. The clothing you wear with your self defense knife is also important and will influence how you conceal your knife. Long jackets are great for concealment, but can be a problem when you need quick access to your knife. Loose fitting clothing allows you to quickly access your knife in that critical moment. Concealment works hand in hand with accessibility. It is important to conceal your weapon, but if you can’t access it fast enough, it’s not going to do you any good. It’s important to remember that you should place your knife on the opposite side of your body from your dominant hand. That way someone that is right-handed can pull out a knife from the left side of your waistband. Knives come in varying lengths, and the best knife for self defense should be between three and five inches. Larger knives like eight to nine-inch tactical knives are better served as a part of your survival gear or as a hunting knife. 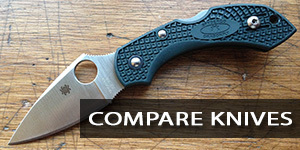 The best self defense knife is either folding knives or fixed blade knives. A fixed blade knife is more functional than other types of knives and is very durable. Blade lengths vary on fixed blade knives, but you should look for one that fits inside your waistband for effective concealment that won’t sacrifice your comfort. An assisted opening knife is the best folding knife for self defense since it has a blade that springs out when you start to open the blade. They are very portable and are easily carried inside your pants pocket. There are also other types of self defense knives like the Karambit knife that has a blade that is curved. This is an effective knife due to its unusual shape that can cause deep slashes that cause a lot of bleeding. 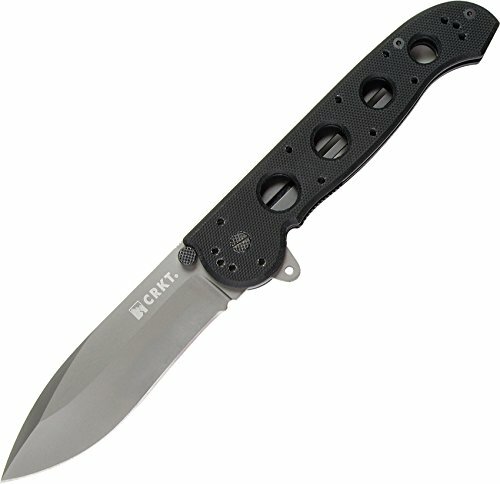 An OTF knife like the Benchmade Infidel, would also make a great self defense knife, you can easily deploy the blade with a touch of a button. However, you will need to check your state’s laws as there are very strict restrictions against these types of knives. The orientation of the blade will depend on the function of the knife and the maker. There should be a cutting edge and point on the knife with a tip that is durable enough to withstand an impact as well as pierce through skin. Here are a few common types of blades that are used as self defense knives. Drop point blades are very common, resist breaking, and are used for controlled cuts. Clip point blades can also make controlled cuts and allow you to easily pierce or stab due to a tip that is sharper and thinner than the drop point blade. Spear point blades are also known as throwing knives. This durable blade looks symmetrical and can effortlessly stab or pierce an attacker. Needlepoint blades have a double-edged allowing it to cut on both sides. This is a great self defense knife since its tip is located at the blade’s center and it is well known for its thrusting and stabbing abilities. Reminiscent of a Japanese sword called a katana, the Tanto blade is versatile and is able to cut through an object with a large force. This is a perfect knife for self defense since it can easily slice, stab, and pierce your attacker. Make sure that your knife has a good grip so you can easily protect yourself in a fight. The knife should be an extension of your body, and it won’t help in a fight if your knife has deep grooves that can be uncomfortable, especially if you have the habit of changing your grip often. Self defense knives are commonly made from either stainless steel or high carbon steel. With a carbon steel knife, you will have a strong and durable knife that will retain its sharpness for a long time. However, they tend to rust, so you need to be prepared to oil it regularly to stop it from rusting.Stainless steel knives are rust-resistant and won’t corrode. They are weaker than carbon steel knives, so they will dull faster and require more sharpening. Only found on folding knives, the locking mechanism comes in multiple forms, here are a few of the more popular types used in modern edc pocket knives. The Lockback mechanism locks into the notch on the back of the blade. This is a reliable and safe lock as your hands won’t be in the way if the blade closes accidentally. A liner lock is a common folding knife lock and features a side spring bar that is placed on the same side as the blade edge. This is a good lock if you are only using one hand to grip the knife. The frame lock mechanism is similar to the liner lock but features a separate metal liner instead of a spring bar. It creates lockout of the frame of the knife and folds similarly to a liner lock. Below are a few of the best self defense folding knives on the market, these knives fit all the above criteria. Featuring a blade steel made of ELMAX powdered steel, Zero Tolerance and Emerson Knives have designed a modified tanto style that is durable and has extreme edge retention. This is a high wear resistant steel with corrosion resistance making it an excellent blade. The DLC coating gives it better performance while making the blade non-reflective. The 0620 also includes Emerson’s patented “wave shaped feature” giving the knife the ability to open when it is removed from its pocket. The blade is deployed and ready to be used by the time it has been fully withdrawn from the pocket. On top of the blade is a small wave-shaped tab that is intended to catch on the seam of the pocket seam allowing it to open. A favorite among law enforcement and the military, the 0620 has a handle that features a bead-blasted titanium back and machined G-10 front scale. The blade lock is guaranteed with a well-made frame lock and durable hardened steel inserts in the lockbar. The Kershaw and Emerson 6034T combines the functional design you expect from Emerson with the accurate engineering of Kershaw. 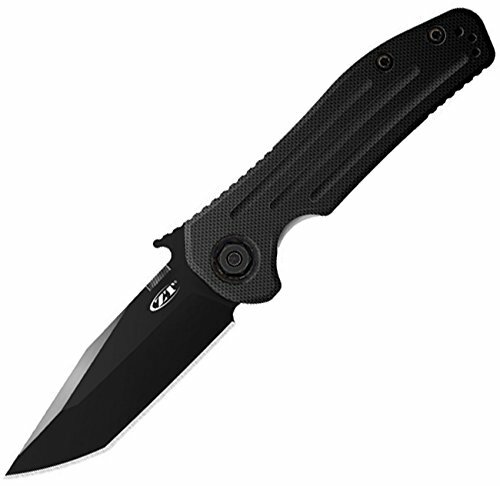 The 6034T features a tanto blade that has been modified for both punching and slicing capabilities. The blade includes both a stonewashed finish on the upper part and a satin finish on the grind. The front scale of the handle is a textured G-10 that gives you a secure grip. The stainless steel back of the handle ensures a solid frame lock. The included pocket clip can be used for either right or left-handed carry. 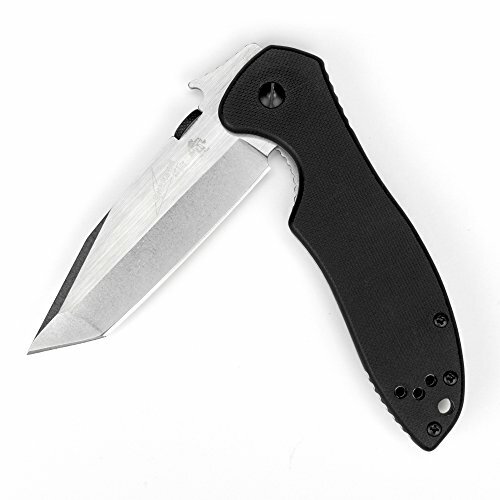 The Kershaw 6034T is a great option for anybody looking for an excellent self defense knife who may also be on a budget. This budget folding knife is priced well below $50, yet is still built from high quality materials. Offering unsurpassed cutting power, the M21 G10 series features blades with deep-bellied spear points in the front, plus insulating, durable, and lightweight G10 handles in the back. Designed by legendary custom knifemaker retired Sgt. Major Kit Carson whose knives have been used by military forces all over the world. Carson decided to design a premium knife that included an affordable work blade that is also high-quality. This heavy-duty knife series can take on whatever life throws your way. The M21-04G’s blade is constructed of high carbon stainless steel that is recurved and swedged. Similar to a bulldozer that has laser-like cutting precision, the M21-04G includes a finish that is non-reflective and made of black titanium nitride that gives you maximum resistance to corrosion. This knife will still look great even after a messy job. The M21 G10 also includes the super strong and innovative AutoLAWKS knife safety. When the knife is locked and open, it is set into a fixed blade with a pin set against the locking liner. When disengaging the blade, just pull back the red pin and then slide the locking liner over while closing the knife. If you want to deploy it quickly, you only need to press your finger on the Carson Flipper to open the blade. The durable handle is as tough as the blade itself, plus it is comfortable with an unparalleled, lightweight, all-weather grip that keeps your hands warm in the winter and cool in the summer. Not only is it comfortable, but the InterFrame is built with stainless steel liners that make it pretty much indestructible. The Adamas 275 Knife features a high-quality stainless steel blade that can hold an edge really well. With a durable and stable G10 handle, the Adamas 275 Knife is designed to work in a variety of temperatures which is great for tactical use. The well-designed AXIS lock makes the Adamas 275 Knife totally ambidextrous and exceptionally strong. This manual knife from Benchmade can be closed or opened with one hand and is comfortable to use and hold. The rugged 275 has a reversible pocket clip and a Cordura sheath that gives you ultimate accessibility. 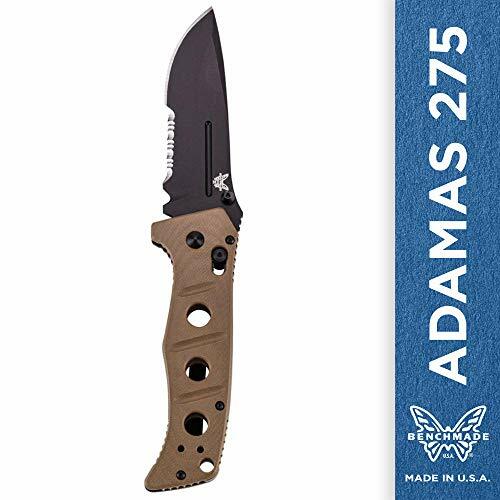 With the Adamas 275’s utility blade, drop-point style, you have the versatility that works well for a variety of projects making it one of the Benchmade’s top picks for versatile, tactical knives. It also features a limited Lifetime Warranty, plus it features LifeSharp Service that will keep your knife in the best condition. Setting a standard for tactical folding knives, the Cold Steel Recon 1 Series features durable and dependable knives that are the foundation in tactical knives all over the world. They have a great reputation for strength and reliability that is popular with law enforcement and the military. The dependable and hardworking knife is as scalpel sharp and is available with 2, 3, 4, and 5 1/2 inch blades. This knife has been engineered to be effective, durable, and strong while remaining light, thin, and razor sharp. 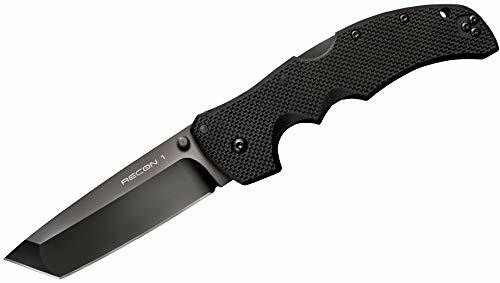 The Recon 1 also features Cold Steel’s Tri-Ad lock that makes them pretty much resistant to shock while keeping your fingers safe from harm when using the knife in harsh conditions. Choosing the best self defense knife can be a challenge. Not only do you want to make sure that you choose a high-quality and durable knife, but you also want to make sure that it works with your skill level. Make sure to narrow down and carefully filter through your selections basing your choices on your needs and preferences. With some proper knife fighting training, you will have no problem fighting off an attacker with the right self defense knife.